We are glad to present to your attention our professional PSD Free Mockup that we have called – Energy Drink Can. It is easy to add there any necessary design and use it for creating advertisement, promotions and branding identity. It is very Professional PSD Mockup that can be really useful for showcasing many interesting ideas. 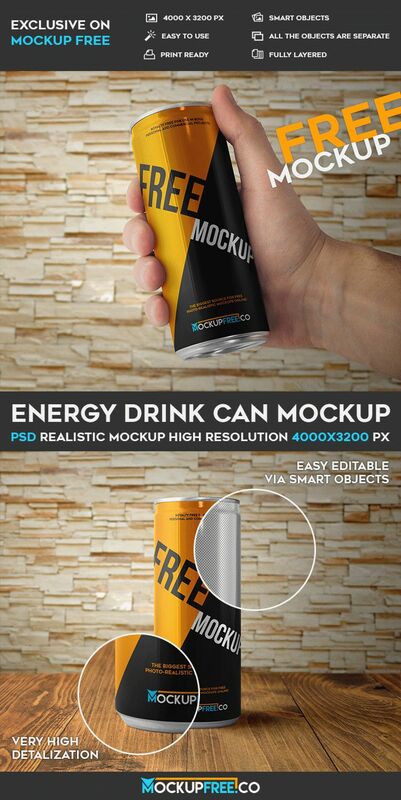 Easily download these awesome Free Energy Drink Can Mockup PDF for implementing your professional ideas, for showing the necessary design to your clients or customers and for lots of other interesting ideas and aims you have. If you think that this free PSD mockup is necessary for your project, choose it and use the way you wish!